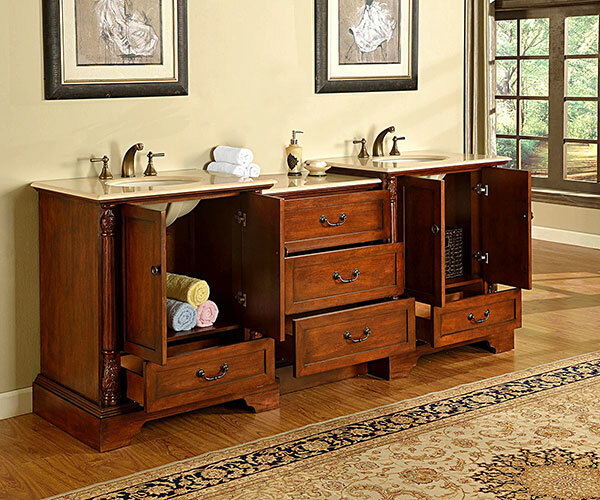 The 92" Mellis Double Sink Vanity brings together two single vanities and a drawer bank to give you a double vanity that is designed to allow you to create your own style. Its cabinet is finished in a gorgeous Cherry finish that emphasizes the detailed carvings along the front of its two double-door cabinets. 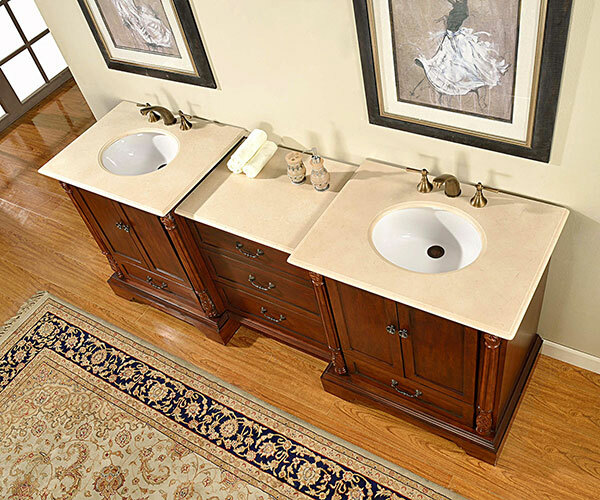 It is topped with a Cream Marfil Marble top that's matched with a white ceramic undermount sink. The Mellis offers two double-door cabinet and two drawers, both adorned with Antique Brass hardware. The middle drawer bank provides an additional 3 drawers. Faucets are sold separately.